In East Texas, sweet corn is grown for its wonderful fresh taste that can't be duplicated by grocery-store-purchased corn. Sweet corn must be isolated from other types of corn by at least 25 feet so they cannot cross-pollinate. If sweet corn cross-pollinates with another type of corn, the taste of the sweet corn can be affected. Another method of preventing cross-pollination is to plant sweet corn and another type of corn ten days apart so they flower at different times. East Texas has different growing periods because East Texas goes from the Gulf Coast northward to Arkansas. However, the procedure for growing sweet corn is the same in every part of East Texas. Take a soil test in early spring or the fall before the spring season. For assistance, contact your county extension office. The extension office has the forms and the collection bags you'll need for an effective soil test. The cost is low and the results are returned to you 3 to 4 weeks after the sample is sent to the soil lab. The soil test tells you what amendments are needed to get started growing sweet corn. It will also tell you how often they should be applied during the growing season. Sweet corn is a heavy feeder and cannot be grown effectively in most garden soils without amendments. 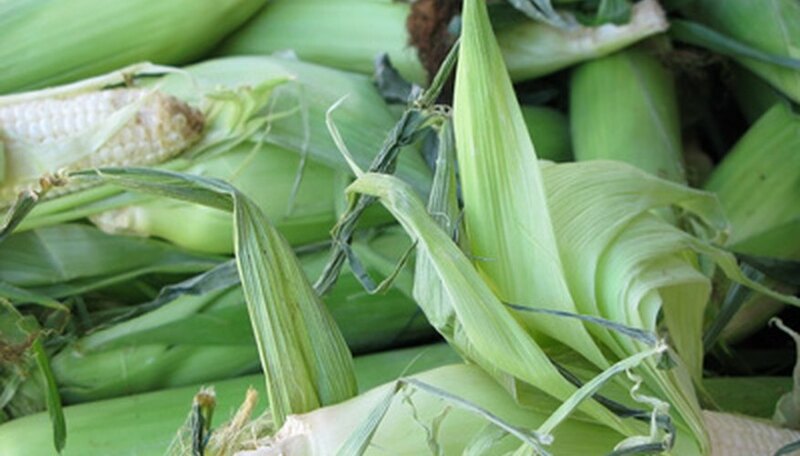 Choose a variety of sweet corn to grow that is suitable for East Texas. Some examples are Summer Sweet 7800, Kandy Korn, Challenger and Summersweet. Your county extension office will have a complete list of recommended varieties for East Texas. Prepare the soil for planting corn by removing all weeds and loosening the soil to a depth of at least 12 inches with a shovel. Spread a 1-inch layer of compost, composted manure or other well-rotted organic matter into the soil. Work the organic matter into the top 3 inches of soil along with any recommended fertilizer amounts with a hoe or rake. Soils in East Texas are either clay or sandy and both types of soil can benefit from lots of organic matter like compost as well as fertilizer. Plant the sweet corn seed when the soil temperature is above 65 degrees, which is around the middle March to the Middle of April in East Texas. Your county extension office will be able to tell you the best time to plant your sweet corn in your county in East Texas. Do not plant seed in a long row of single plants or the pollen cannot easily move between plants. Instead plant in rectangular blocks at least four plants wide. If you have the room, a block 15 plants wide will give you the best corn production. Plant seeds 1 inch deep and 8 inches apart. The seed germinates in about four days. Add fertilizer at the amounts recommended by your soil test. Water frequently so plants do not become stressed. Keep weeds away from the corn plants, but be careful not to cut or disturb the shallow roots while you are weeding. Harvest sweet corn when the ears have a little bit of green silk at the top of the ear remaining, but the rest of the silk is brown. The ears should feel well-rounded and full.